Just a short one here, but I’m required by law to drag the story out cause I’m an old guy. 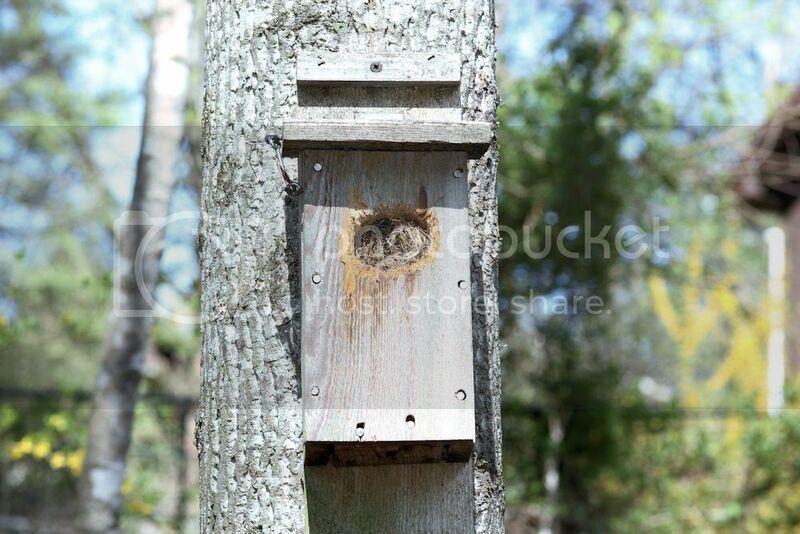 A few years ago, I mounted a Bluebird nesting box in the forest, where no self-respecting Bluebird would be seen. 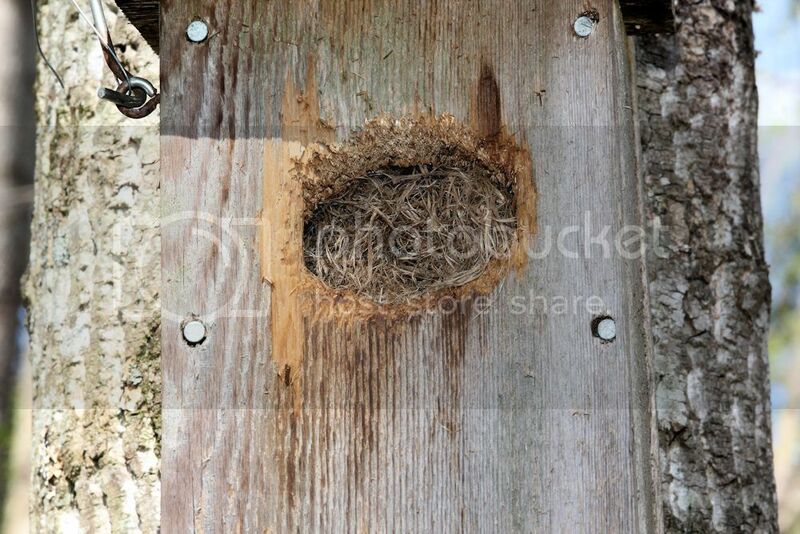 I did this because it becomes a nest box for Titmice, Chickadees, or White-breasted Nuthatches. 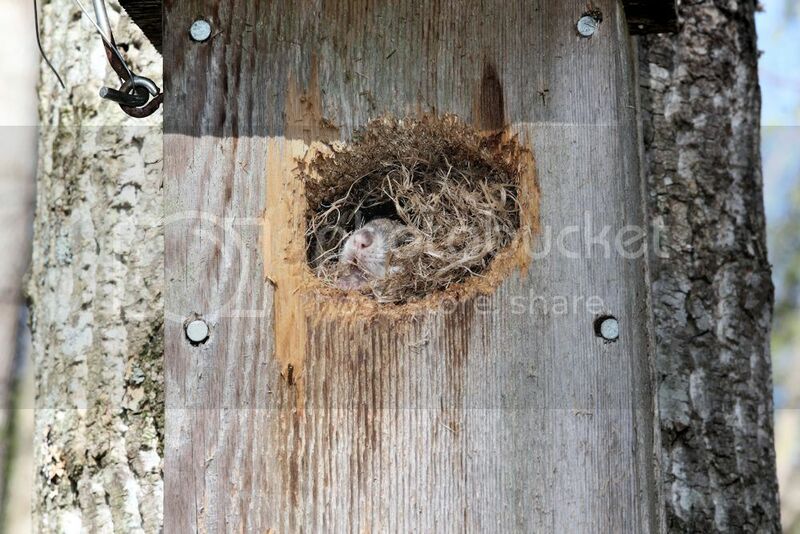 In winter it often becomes a snug, White-footed Mouse home. In March, I clean it out for the spring birds. I checked it today and it had an odd round ball of woven grass in it. Cautiously I scratched lightly on the “ball” at the bird entrance, trying to emulate a curious bird or mouse snooping around. 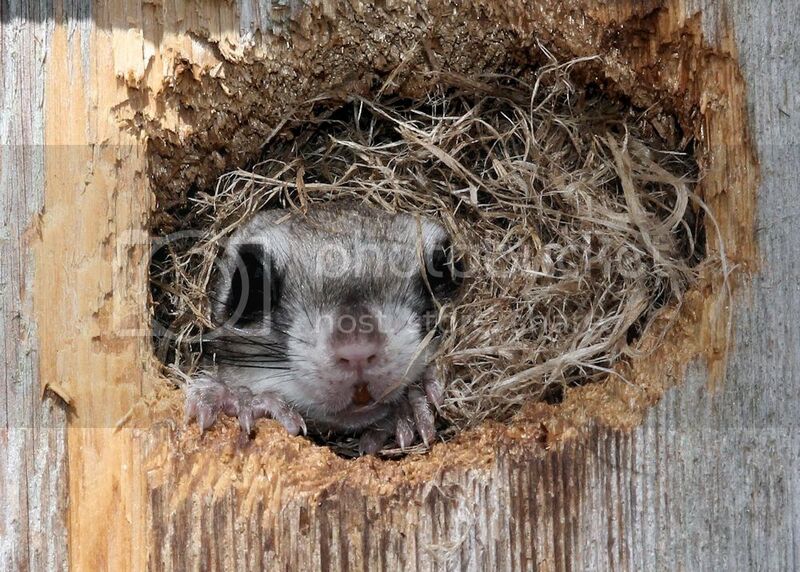 Although we live on the edge of the range of some populations of Northern flying squirrels, I’m reasonably sure because of size and location, it’s a Southern (Glaucomys volans), maybe “saturatus” (ssp). That is all kinds of adorable. Really cool to have that living there, hopefully you will see it a bunch of times in the future. Pretty freakin cool. Thanks for sharing. Do you have bird feeders out and do you see the Flying squirrels on your bird feeders? Been traveling/camping and away from internet access. Rather than have a small feeder and fight the Gray Squirrels, we have about 20 feet of deck railing that we line with seed several times a day. We get all the day birds and squirrels and some night visitors: Flying Squirrels, Opossums, Raccoons, etc. Occasionally a hawk feeds on them! To you other fine folks. 3. I need to buy an infrared game camera to get some night pics! The only memory I have of seeing a flying squirrel was back when we lived in Bay county when family friends who owned H&H Boat works had one as a pet. The animal had quite a personality in addition to cuteness. They're regular nighttime guests at the feeders on the walkway railing outside the dining room at Natural Bridge State Park in KY. Sometimes they're extremely skittish; other times I've stood just a few feet from the feeder as they "fly" in and scurry around. Interesting to watch. 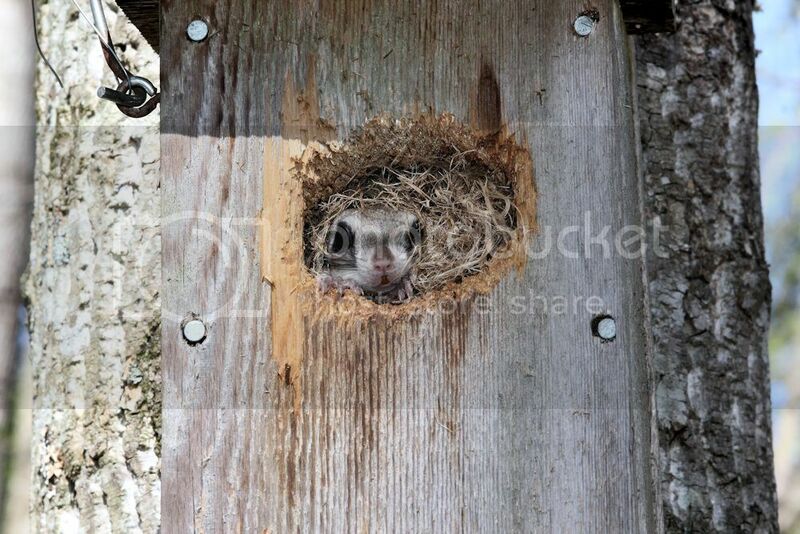 brb I'm building a bird house right now in hopes I get flying squirrels! Be sure to make the hole about twice the size for a small bird. You could easily get a Yellow Rat living there as well, Tim! They're regular nighttime guests at the feeders on the walkway railing outside the dining room at Natural Bridge State Park in KY.
That's worth noting for anyone on this forum. Bill, a yellow rat would be pretty cool too! lol I like all the animals pretty well.